Built with an Intel® Quad-Core J1900 Processor in a Mini-ITX form factor, the motherboard and the Intel SOC are designed for home multimedia and general work PCs. Not for demanding gamers, but for entertainment (videos, music etc. ), less demanding games and work of various sorts. As a low power processor a computer may be build without any fan making it completely silent. 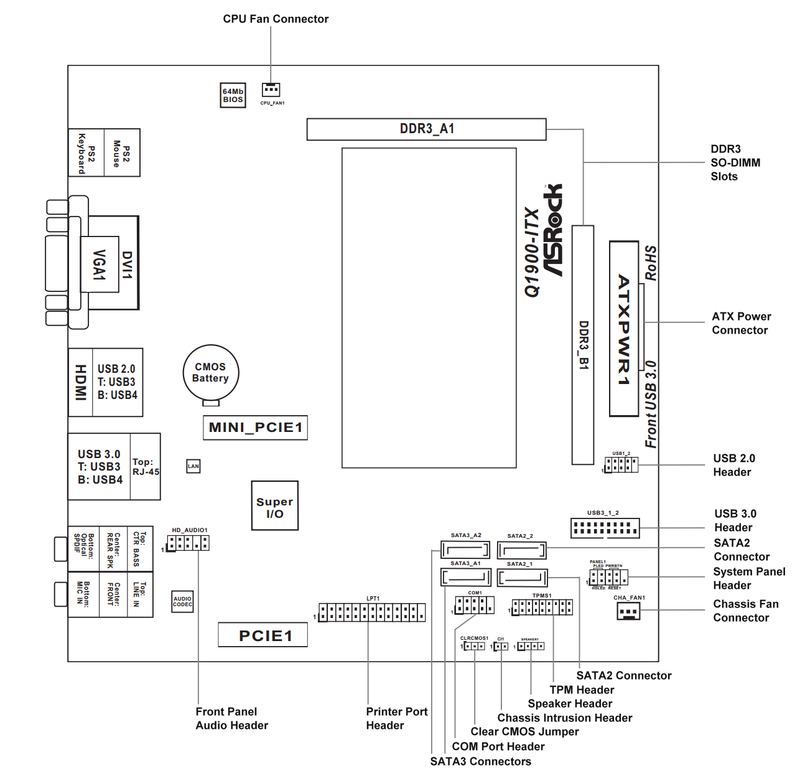 The Q1900-ITX is an higher end Mini ITX Celeron J1900 board. With two SODIMMs slots, one PCI-Express x1 and one Mini-PCIe slot. 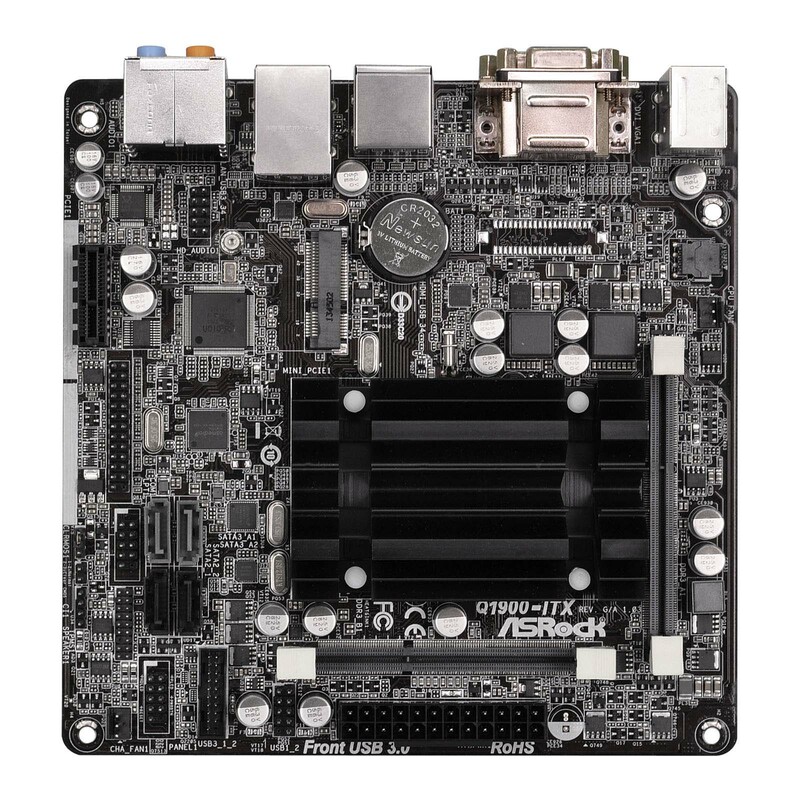 ASRock has integrated few more controllers onto this motherboard giving it 4x USB 3.0 and 4x Serial ATA (of which 2x Serial ATA 600). This makes it among the very few boards equipped with more that two SATA-ports. The audio-codec is a Realtek ALC892. 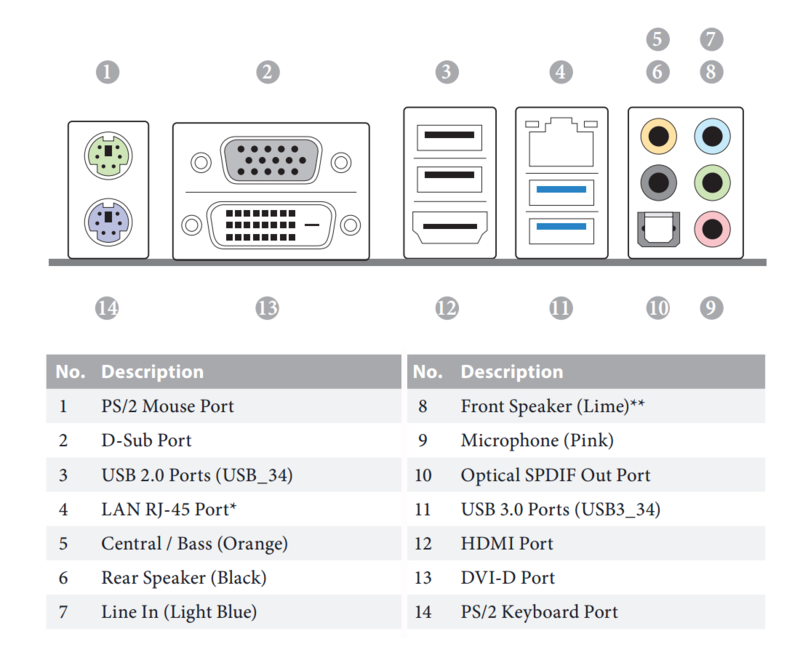 because of the extra controllers the power consumption is a little higher than average. 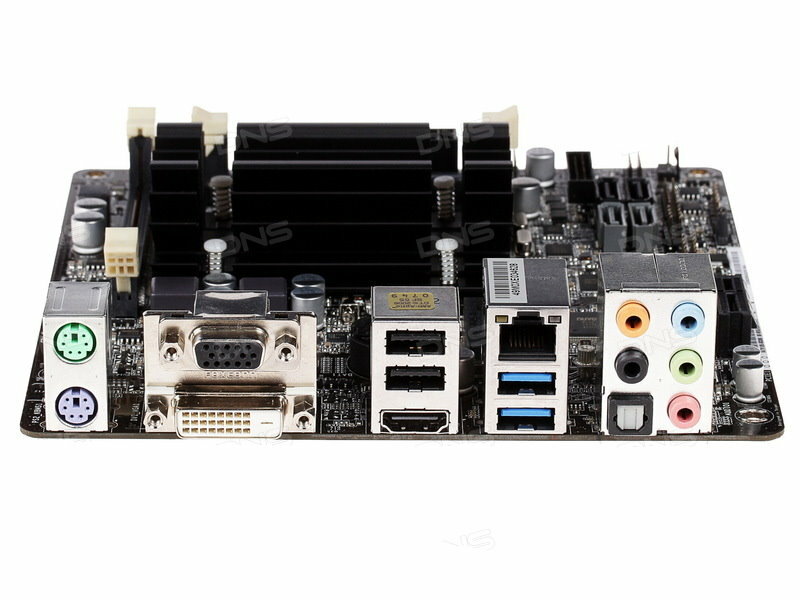 Both the performance and price are very competitive with the other J1900 based ITX-boards. The board runs smoothly with linux 64 bit and given enough RAM, supports virtualization with no glitches, making it a perfect headless home server motherboard.